RAG, Ennshafen OÖ GmbH and Iveco Austria today opened Austria’s first liquefied natural gas (LNG) filling station at Ennshafen port as part of the Zukunftsforum LNG conference. The event was attended by the Deputy Governor of Upper Austria, Michael Strugl, as well as other prominent guests from the worlds of politics and business. RAG completed construction of Austria’s first LNG filling station in a period of just a few weeks, and it is now open to the public. 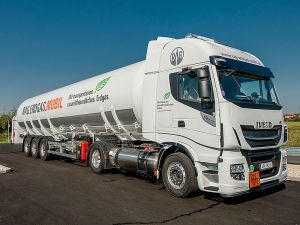 “This is a milestone in establishing LNG as an environmentally friendly fuel for goods vehicles, and RAG is making a highly important contribution to achieving Austria’s climate targets. 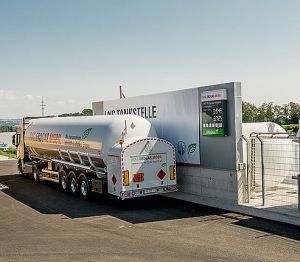 Thanks to our filling station, LNG has finally arrived in the country,” commented Markus Mitteregger, RAG’s Chief Executive Officer, on offering a competitive, clean and affordable alternative to conventional fuels for goods transportation by road. “The Ennshafen logistics hub in central Upper Austria is the ideal choice for the site of the country’s first LNG filling station. Port handling and a high density of goods vehicle traffic go hand in hand. As a Trans-European Transport Network (TEN-T) hub, Ennshafen offers the infrastructure required for the first step in establishing this new fuel in Austria. Further expansion phases are already in preparation. This is a key step in developing the waterway transportation chain, which will enable us to continue to meet high standards of environmental friendliness in the coming decades,” commented Werner Auer, Managing Director of Ennshafen OÖ GmbH, highlighting the advantages of the Ennshafen port site. Approximately 12 tonnes of LNG can be kept in storage at the Ennshafen site at present – equivalent to the amount required to refuel between 60 and 90 trucks. RAG delivers natural gas using its own LNG tankers. Some of the gas comes from RAG’s gas reservoirs in Austria, and is processed at the company’s LNG plant in Gampern, Upper Austria. Currently, about two tonnes of LNG a day is produced there, which can then be used at the Ennshafen LNG filling station. This is enough to refuel 10-15 LNG-powered trucks a day. “The potential for the future is significantly greater – this is reflected in developments in Germany and throughout Europe. That is why we are planning to expand our own LNG production, in order to increase the availability of Austrian-made LNG. We also plan to open further LNG filling stations on major transport routes in Tyrol, Upper Austria, Styria and the Vienna area,” Markus Mitteregger explained. The Paris Climate Change Conference set the goal of securing supplies of sustainable and affordable energy for the future, while also reducing greenhouse gas emissions and improving energy efficiency. This enormous challenge will only be met through huge collaborative efforts. A major focus is road traffic, which generates around 45% of all greenhouse gas emissions. Medium- and long-term forecasts predict growing road traffic volumes, especially heavy goods traffic. As a result, numerous EU initiatives, such as the LNG Blue Corridors project, are promoting increased use of environmentally friendly, low-emission natural gas and LNG as a transportation fuel. In the future, gas produced from renewable sources (biogas and gas generated from wind and solar, using power to gas) might also be used in addition to conventional natural gas. So ready supplies of gas will be available for use as a fuel for the long term. “Gas is the energy source of the future, and its use as a fuel for trucks underlines its advantages. 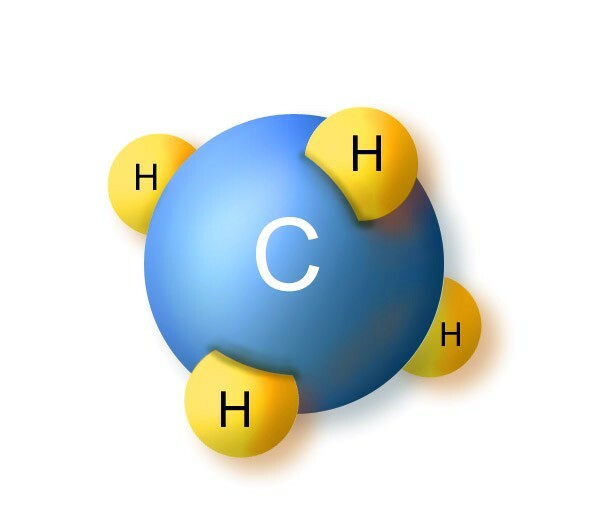 There are large reserves of gas worldwide, it is environmentally friendly and inexpensive, and now it can even be produced renewably. As the fourth-largest gas storage operator in Europe, RAG can guarantee reliable gas supplies. We are also channelling significant efforts into projects to manufacture gas using renewable energy,” Mitteregger pointed out, emphasising the high degree of supply security offered by gas. RAG is closely involved in research and development on the manufacture of renewable gas, as part of two projects supported by the Austrian Climate and Energy Fund – for further details, visit www.underground-sun-storage.at and www.underground-sun-conversion.at. LNG-powered trucks are already firmly established in the USA and China. There are LNG filling stations in a number of European countries, and now these environmentally friendly vehicles have arrived in Austria. Until now LNG has primarily been used to transport natural gas in large quantities across the world’s oceans, without the need for pipelines. Recent years have seen the discovery of its potential as a fuel for transportation of goods by road and sea. Above all, LNG makes an important contribution to security of supply. Natural gas is temporarily stored in underground storage facilities, so that it is available whenever it is needed – regardless of the time of day or year, or the weather. “Transportation plays an essential role in a functioning economy. This means it is all the more important to make transportation environmentally friendly and forward-looking. We are convinced that our natural gas is playing a key role in this,” Mitteregger added, underlining the importance of gas for the future of transportation. “RAG is investing in pioneering LNG infrastructure, driving forward this groundbreaking, environmentally friendly development. Commissioning our first LNG filling station at Ennshafen port is an important initial milestone in this process,” Mitteregger concluded.